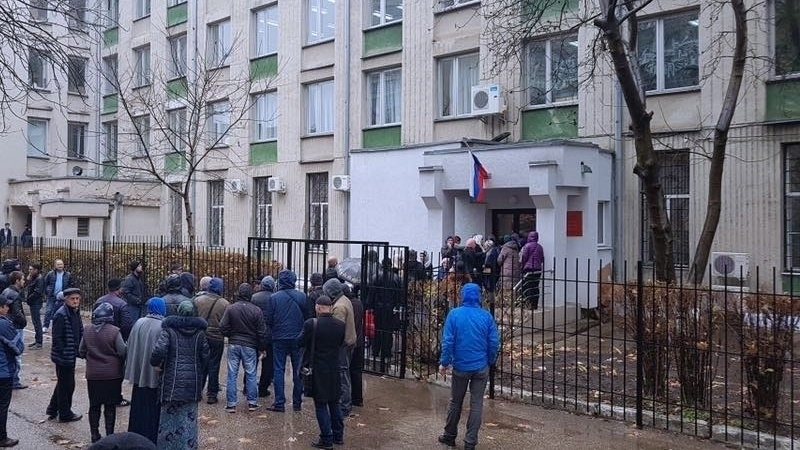 December 15, occupiers in the Crimea intend to transfer the participants of the so-called "Yalta case" to Rostov, RF, according to QHA sources. “The “Yalta group" will be transferred in Rostov through Krasnodar,” the QHA source reports. Earlier, the wife of Vadim Siruk, one of the defendants in the fake "Yalta case of Hizb ut-Tahrir", Anna Bohacheva and his daughter were not allowed to the previously approved meeting with the prisoner. Reference: on February 11, 2016, participants of the fabricated "Hizb ut-Tahrir case" were detained, namely Muslim Aliyev from the city of Alushta, Enver Bekirov, a resident of Krasnokamenka village, Vadim Syruk, a resident of Yalta, and Emir-Usein Kuku, a member of the Human Rights Contact Group. On April 18 the same year Arsen Dzhepparov and Refat Alimov were detained as well.